Have you ever been flicking through home design magazines and spied a bathroom that looks like something out of an art exhibit? Ever been browsing bathroom blogs and seen a shower that wouldn’t look out of place on a spaceship or a sci-fi movie? Perhaps you’re more into traditional motifs of roll top tubs on feet and elegant pedestal sinks, but I can’t resist modern design, especially when it comes to bathrooms. I bet most of you have thought modern designer bathrooms are only for the rich and famous, but you’d be wrong. 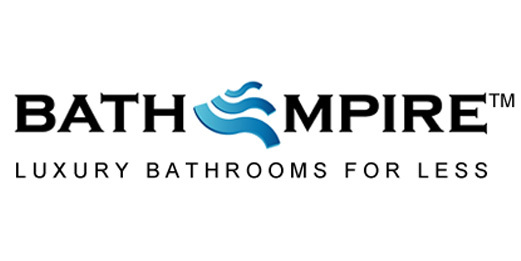 There are plenty of affordable options out there that will give your bathroom a contemporary twist. There are so many modern shower designs out there nowadays it’s hard to know where to begin. Let’s start with the enclosures themselves. Despite the fact that you may have a more modestly sized bathroom you can still have a modern shower without worrying about it taking up too much space. Quadrant enclosures are great for fitting into snug alcoves or cosy corners and most types have a sliding door to save even more space while still looking great. Or, if you can spare the space, there are much larger enclosures or walk in bathrooms with elegant glass panels that would really modernise your shower experience. As for shower kits, there are a range of concealed or exposed options depending on your taste, but a concealed kit will certainly add to the minimalist motif if that’s what you’re going for. A modern bathroom isn’t all aesthetics, however, so concerning usability, a thermostatic shower valve should be strongly considered. These fantastic bits of kit enable you to regulate the temperature of your water with ease and many feature anti-scalding devices too. Nothing beats a beautiful freestanding bath when it comes to a centrepiece for your contemporary bathroom. These baths come in a range of shapes and sizes, from more traditional rectangular designs to huge bowls which give you all the space in the world to stretch your legs out and relax in. 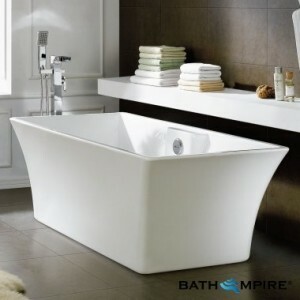 Slipper baths are another great freestanding bath design. They not only look pretty nifty but are perfectly shaped for people who love to enjoy a bath with a good book or just sit in a more upright position when lying amongst the bubbles. Having a tub in the middle of the floor might give you some plumbing issues, but freestanding taps are certain to ease your headaches. These elegantly designed taps look glorious as they loom over your new freestanding tub and work just like a normal tap. When I was a kid, radiators were these off-white boring looking things that took up most of the wall and caused all kinds of issues with the Feng shui of my bedroom. Nowadays, vertical radiators not only take up unused vertical wall space to enable more flexibility with your fittings, but they look amazing too. There are so many styles of vertical radiators to choose from and a range of colours to suit the palette you’re going for. 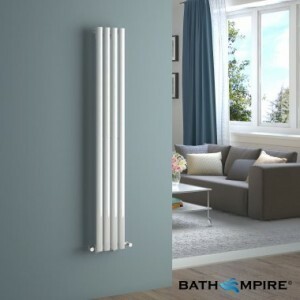 They work just as well as ordinary radiators with the advantage of looking like a piece of industrial artwork hung on your wall. No but seriously, they look great and are a great example of practicality and stunning aesthetics coming together in perfect harmony.